It’s tick season! What are they and what do you need to know? I don’t know about you but until a few years ago I didn’t really know anything about ticks. In fact, my association with them has mostly been in America. However, it’s also a big issue here in the UK, especially between Spring and Autumn. 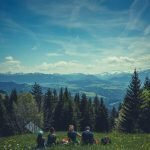 As the days get warmer and longer we spend more and more of our time outdoors; walking, hiking and camping which exposes our risk to the diseases that ticks carry: Lyme Disease. Yet, the availability of information on our risk to this is pretty slim- unless of course you purposely search for it or you read the National Trust information at locations where we’re at higher risk of exposure. Ticks are spider- like creatures that feed on blood; human and animal. They prefer to inhabit humid conditions with long grass but are commonly found in woodland, moorlands, grasslands, heathlands and some urban parks and gardens (gov.uk). How can you come into contact with ticks and how do they pass on disease? They can’t jump or fly (thankfully) but use their claws to grab onto you as you walk past. To pass on one of the many diseases it carries, it’ll bite from the skin and transmission can be in less than one day. If left undisturbed, they can feed off skin for 5-7 days before it detaches. A bite is painless and you’ll not necessarily notice so it’s important to check yourselves and pets when you’ve been in areas of increased risk. What to do if you find a tick/you’re bitten? If you find a tick in contact with your skin, the safest way to remove them is with a pair of tweezers. If the tick is biting you, you’ll need to grasp at the tick as close to the skin as possible pulling upwards slowly and firmly. Apply antiseptic to the area. 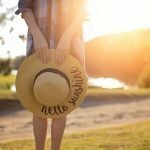 Whether you’ve noticed you’ve been bitten or not and notice an expanding rash and develop flu- like symptoms after spending time outside, a visit to your GP may be required and a course of antibiotics prescribed. The bacteria carried by ticks, if transmitted and left untreated, can cause serious complications. Tuck clothing in- trousers into socks, t-shirt into trousers etc. Stick to paths and avoid overgrown areas. This will reduce your risk of coming into contact with ticks. Wear light clothing so they’re easier to spot if you do pick one up. Wear tick repellent- there are many different sprays available on the market for humans and pets. Check our dedicated Pinterest board to see what ticks look like and DIY repellents. Conduct tick checks– any time you’ve spent time outdoors, make a habit to check your clothes and exposed skin for any ticks- they can be as small as poppyseeds so check carefully. Top tip: keep a lint roller in the car and go over your clothes before you leave a site. Don’t forget to check your pets too! head/scalp- checking the ears and neck is important too. Place it safe this summer and help others learn more about ticks by sharing this info! For more information, check out the Lyme Disease Action site.